The minimalist Erin wall mounted tall storage cabinet from Hudson Reed, give your bathroom a designer look with this modern cabinet combining stylish looks with practicality. 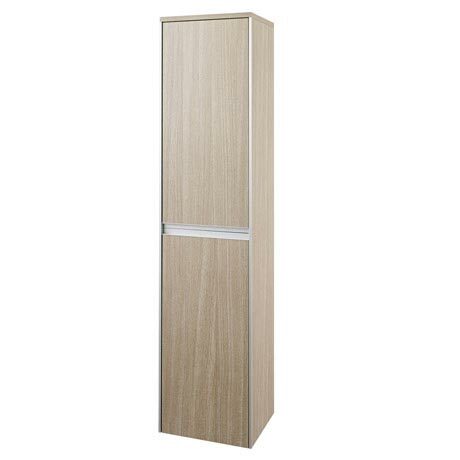 Features a light oak finish and a soft close cupboard door. Guaranteed by Hudson Reed for 5 years.